Growing roses in your Florida garden is a challenge, but well worth it. Whether you have a single rose bush, or an entire rose garden, there is nothing quite as beautiful or appealing as a well tended rose in bloom. Roses are the most popular flowers grown in gardens all over the world. There are dozens of rose bush varieties, from dwarf roses to climbing roses, that will thrive in your Florida garden with proper care. Most roses sold in Florida are grafted onto one of two rootstocks: Dr. Huey or Fortuniana. The difference in the two is their cold tolerance and their resistance to nematodes, both of which are major considerations for growing roses in subtropical conditions. Dr. Huey, the most commonly used rootstock, is a climbing rose. Dr. Huey rootstock is popular because it propagates easily and has a long budding season. Plants grafted onto Dr. Huey rootstock harden off and ship well, as well as being easy to store bare rooted. 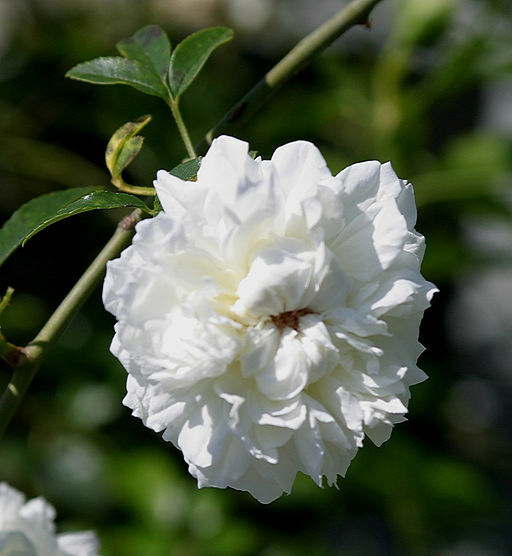 Dr. Huey rootstock has a great range of adaptability, which is why it is the rootstock used on your lesser priced roses carried by big box stores like Home Depot and Wal-Mart. Unfortunately, for all it's excellent qualities, roses grown on Dr. Huey rootstock usually only live for 4-5 years in Florida, due to its intolerance to nematodes. For this reason, these less expensive roses are referred to as "disposable roses" by Florida rosarians. They are lovely for a few years, then they must be replaced. They can live longer if container grown. The best rootstock for growing roses in Florida roses is Fortuniana. Fortuniana is a natural hybrid of R. banksiae ("White Lady Banks Rose") and R. laevigata ("Cherokee Rose"). Discovered in China in 1850 by Robert Fortune, a Scottish gardener, Fortuniana has the lovely violet scent of the "White Lady Banks", but has a much larger flower that is double with a knotted center. The canes are nearly thornless, and the foliage resembles the banksias, except glossier and larger, a testament to its "Cherokee Rose" heritage. 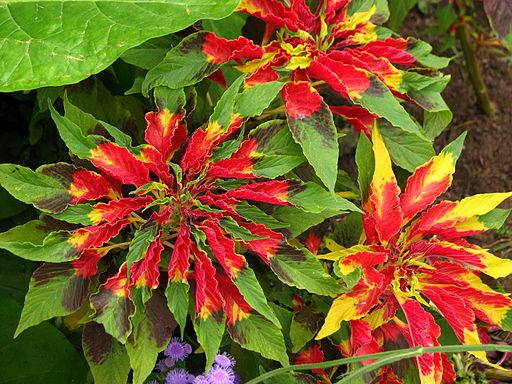 Fortuniana is extremely cold sensitive, but is very tolerant to nematodes. Nematodes infect the Fortuniana roots, but don't thrive there, and don't do much damage to the rose plant. Roses grafted on Fortuniana rootstock will live from 10-20 years in Florida with proper care, depending largely on the winter temperature variations. In colder, inland areas, they must be protected from freezing temperatures. Whether you choose a less expensive, shorter lived rose on Dr. Huey rootstock, or a costlier, longer lived rose on Fortuniana rootstock, your roses are sure to bring you joy for years to come. I read a quote from an Englishman whose name I can't recall. He said that only in America do people spend millions of dollars growing a crop you can't eat. He was, of course, speaking of lawns. Some homeowners are quite obsessed with perfect lawns. I'm not one of them. I hate mowing grass, and would much rather have something edible than something green and useless in front of my abode. More and more, people are turning their lawns into vegetable gardens. It isn't that hard to do! You don't even have to dig up the grass. You may, however, have to fight your city to do so. For some reason, municipalities revere grass lawns above all else on a person's property. Ordinances many times forbid the growing of anything other than grass or ornamentals in the front yard. Some people have actually been arrested for having front yard gardens or had their entire yard ripped up. I lived in such a city, and I learned to comply with the law and still grow edibles in my front yard. My city ordinances did not prohibit fruit trees in front yards as long as they were kept healthy and not allowed to become diseased and unsightly. We were also allowed to grow plants around the bottom of trees inside edging, but there was no limit to the size of these edged gardens. I planted three fruit trees in my front yard and surrounded them with large circular edged gardens. There was no ordinance as to what could be planted in these beds under the trees. The ordinance simply said you could not plant a vegetable garden in your front yard. I planted my herb garden around the starfruit tree, with some edible flowers such as purslane and nasturtiums to pretty it up. Some herbs have beautiful flowers, or are ornamental all by themselves, such as variegated cuban oregano and purple-leaf basil. Under the large plum tree, I planted oregano as a ground cover and grew mints in hanging baskets. In larger pots around the tree, I grew peppers and lettuces. I mixed the ornamental peppers in with sweet peppers to disguise them. Under the cherry tree, I planted colorful lettuces, leaf greens and sweet potatoes. I had large terra-cotta pots along my sidewalk planted with what appeared to be ornamental plants but were really edibles. 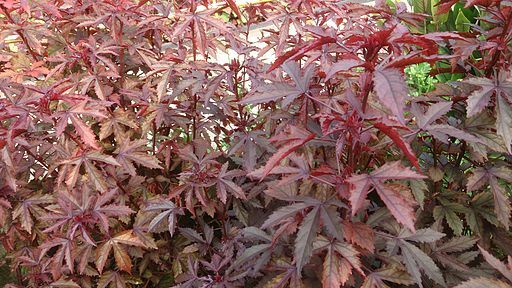 In one pot I grew Hibiscus acetosella, whose striking maroon leaves add a tangy taste to salads. Around the bottom, I planted flowering purslane. In another pot I grew a large lemon grass and in another I grew Joseph's Coat, which is an ornamental edible amaranth. Purple millet is one of the most beautiful grain plants you've ever seen. I grew a long row of it down the side of my yard. It was so ornamental, no one who didn't know would have ever guessed it was edible. A hedge of Colocasia escuelenta elephant ear plants grew down the other side of the front yard, which have edible roots called taro, eddoe or malanga. I never got one complaint or one citation from the city. I harvested many pounds of food from my front lawn garden, and you can too. You just have to be creative in what and how you plant, and you must keep it tidy and not let it get scraggly or unsightly. Study your city ordinances and find ways to grow what you need to eat while still staying within the law. What edible ornamentals have you planted in your yard? Were you even aware that some of these plants were edible? Will this help you plan your front yard garden for next year? Please feel free to add a comment and tell us your thoughts on edible ornamentals. I was on Pinterest and discovered an article on Attainable-Sustainable with suggestions for Growing Food in a Drought. That led me to Inspiration Green's article on Keyhole Gardens. Here in Florida, we grow most of our food during our winter dry season, so anything that will save water is of interest to me. Like so many wonderful things, the idea of keyhole gardens originally came from Africa, but they are becoming popular in many dry, hot places, especially in the U.S. states like California that are affected by a prolonged drought. Not since Greening the Desert have I seen such an efficient way of using compost to grow food in desert conditions. I think these are much better than raised beds, as they get taller year after year, so by the time you get old and can't bend down to garden anymore, you garden has risen up to meet you. 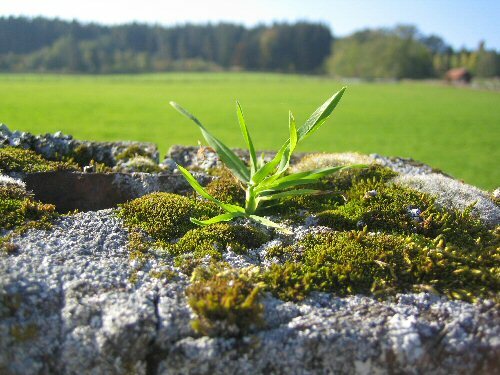 Inspiration Green's article has several examples of keyhole gardens from all over the world, and video instructions from Send a Cow, a wonderful organization that could use your donations if you are so inclined. Water is a finite resource, and our food supply is becoming unsafe. We all need to grow some of our own food, and gain knowledge about how to grow more for the future. This is just one way to do that. While some tropical and subtropical plants will be fine at temperatures above freezing, most sustain damage at temperatures below 40 degrees. Living in a subtropical or tropical area is a wonderful experience for gardeners. Year-around gardening without a greenhouse is every serious gardener's dream. While temperatures in subtropical and tropical areas rarely dip below 40, there are those occasional cold snaps, where protecting tender plants is necessary. Well watered plants are more likely to survive the cold, especially if the plants are too large to be covered. Tropical trees and edibles will likely sustain leaf or limb damage, but if they are well watered, they have a much better chance of staying alive to grow back. The most effective and simplest way to protect tropical plants during cold snaps is to cover them with cloth. Depending on the temperatures, plants should be covered with sheets or blankets. This covering not only provides a warmer, insulating environment around the plant, but protects it from the cold air damaging the leaves. Covering with plastic is not recommended, due to the fact that even during the cold weather, the sun is very strong, and will burn anything that is touching the plastic. Heat builds up rapidly, which itself can damage delicate tropical plant leaves. When driving through orange groves in the colder areas of Florida, travelers will see irrigation pipes along the ground, and tall pipes going up next to and above the trees. These are turned on during freezing weather and allowed to run all night. As the water hits the leaves and fruit, an insulating layer of ice is created that adds protection from the cold. For larger, cold sensitive fruit and flowering trees, this is a good method of protection, if a yard has the capability. Even a simple lawn sprinkler can create a tall enough spray to protect most smaller trees. Avocados and Mangos must be protected from cold for the first five years of their lives, and this is the best method of doing that when they get larger. Plastic and PVC pipe or wood can be used to create a temporary cold frame that will protect smaller plants. If the area has regular cold snaps, it may be beneficial to construct something that can be removed in warmer weather, yet easily reconstructed during the winter, such as a simple hoop house. Again, be careful not to let the plastic touch the plants, and to provide air circulation during sunlight hours so that heat doesn't build up inside the structure. The simplest way to protect potted plants is to bring them indoors. If there is no way to bring them into the home, a garage or shed can be used. Simply having them under cover on a porch and covered with blankets can provide enough protection if temperatures are not below freezing. Potted plants too large to move can simply be laid on their sides and covered with cloth for protection. 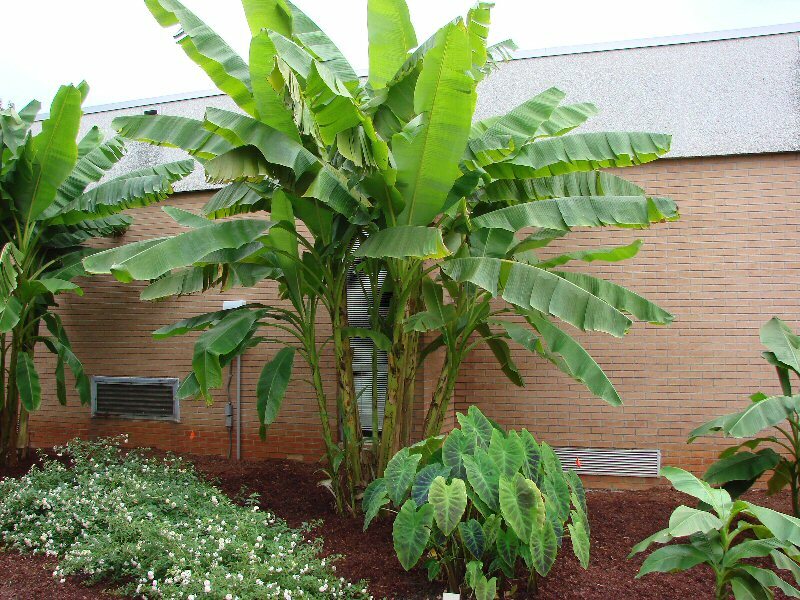 Tropical and subtropical plants can be a big investment, and unfortunately, one that can be wiped out in a single night of unusually cold weather. By protecting the plants, there is no need to replace them, thus saving money in the long run. Landscape plants as well as potted plants depend on the gardener for everything they need to thrive. Protecting them from harsh weather is just another way gardeners show their love for their leafy friends. When we think of gardening, we think of yards full of lovely landscaping, flowers and -- more and more lately -- vegetables and fruits. But does only gardening on a small scale, or gardening indoors make you any less of a gardener? Due to physical limitations, I'm seriously considering giving up on any large-scale gardening projects. I looked at a house the other day with a beautiful, big sunny front yard and was excited until I realized how much work it would be to turn that into anything worth looking at. I want the house for the interior space, but tackling that front yard would probably be too much for me. I knew I would get to this point sooner or later. I've fought it for so long, thinking I could "fix" myself so that I could garden outdoors again, but it just isn't going to happen. I have to face the fact that I have a progressive, degenerative disease and my time being strong is over. I have to adjust and adapt. I will never give up teaching people about gardening, so that is what this blog is going to become; a teaching tool. I'm going to go back to the basics and write more of the how-tos that gardeners seem to love so much. I've moved to an entirely different zone and climate, so I will be writing on North Florida gardening, and maybe once in awhile, throw in a little South Florida gardening just for fun. I'll spend more time on the gardening groups I started and let fall by the wayside, and build them up. 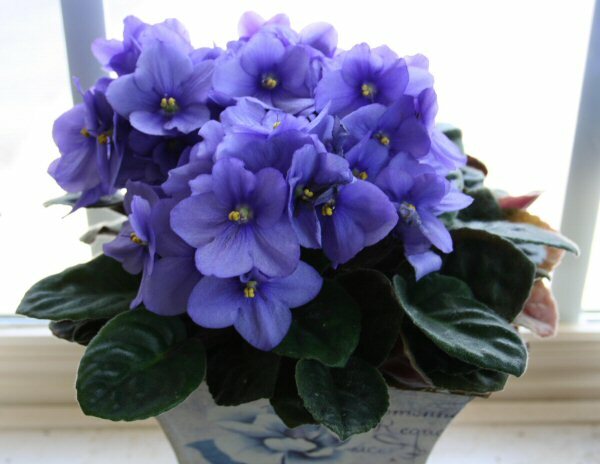 As for what I will grow, because I can't stop growing entirely, I'll go back to my mini African violets. I used to love growing those tiny beauties, and this is a perfect opportunity to get back into them. It's tough getting to this point. I never thought I'd ever stop gardening, but looking back on the past few years, I can see that it has been coming all along. I just refused to admit it to myself. Luckily, compulsive gardeners are easy to please. You don't have to spend a lot of money on them to make them happy. As long as it makes their gardening easy or fun, they will appreciate it. Here are just a few creative cheap gift ideas for gardeners. Compost and Manure - No matter where you live, you can probably find someone around with animals who is just dying to give away a truckload of manure. Horse farms, dairy farms, even small farms with rabbits and goats, usually have enough poop to go around and then some. Municipalities or county facilities in many areas have free compost available year around. Even a couple of cutely wrapped recycled paint buckets full of manure or compost for a small garden would be a welcome gift to any serious gardener. Of course, this involves delivery in person. If you do have a truck, you can give them a handmade gift card for a trip to the supplier of the free compost or manure, and help loading and unloading. Shared Seeds from Your Garden or From Trading - If you have tons of saved seeds from easy to grow annuals or perennials in your yard, or leftover seeds from trading, these can be a great gift. Cute printable seed packages are available online or just make them yourself out of magazine pages or other scrap paper. Make sure to label them well. Put these into a gift bag with a gallon zipper bag of some shared seed starter mix or vermiculite, and you have a gift any gardener would love. Ceramic Pots from Dollar Stores - Every dollar store has a variety of cute pots available during the growing season, and you can gather a few of these throughout the year and give them as gifts. These are especially popular among those who grow African Violets and other small indoor plants.Stick a pair of $1 gloves and a couple of $1 tools and a pack or two of seeds, and VOILA! A wonderful gift. Toilet Paper Rolls and Seed Starter Mix - This sounds insane to someone who isn't a compulsive gardener, but for your friends who are, this is a great gift! Simply cut the rolls in half, fold the bottoms in to make little "peat pots", and stack together. Package them in a plastic plant tray (you can get these free or cheap from garden centers in big box stores) or in a gift bag with some seed starter mix, and you have a wonderful inexpensive gift. Cheap Garden Clogs - Discount dollar stores like Dollar General usually have cheap garden clogs for less than $10. Trust me, we got through a lot of these shoes! Pumice Hand Soap and a Nail Scrub Brush - Real gardeners don't use gloves a lot of the time, so they are always getting their hands filthy. Most serious gardeners keep a bar of pumice soap and a nail scrubber handy. Add a bottle of lotion from the dollar store and the combination makes a lovely gift. Old Vinyl Blinds Cut Up for Plant Stakes - You can usually pick up old vinyl blinds cheaply from thrift stores or yard sales, or free from the side of the road. Just cut them into 6" or longer pieces, bag or tie them up, and give them to our favorite plant collector. If you want to make the package complete. toss in a package of thin tipped Sharpies or china markers. They'll love it! These are just a few ideas. If you use your imagination, I'm sure you can come up with a lot more. It doesn't have to be expensive to please a true gardener. It only has to be from the heart, or from your garden to make them happy. Tomatoes are the favorite garden vegetable of all time. If there is only room for one vegetable in a garden, gardeners will invariably choose tomatoes. I recently considered moving to the beautiful great Northwest, but decided not to when I found I could not grow tomatoes there without a green house. 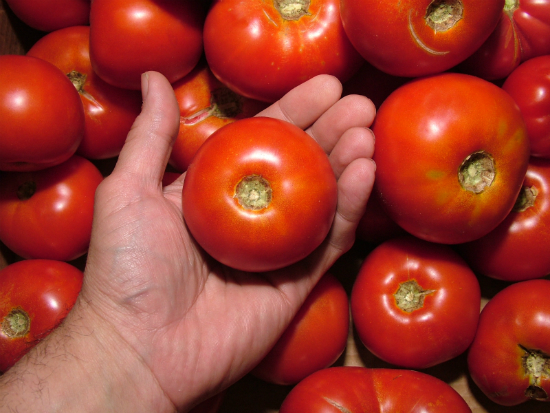 When Can I Grow Tomatoes in South Florida? Growing tomatoes in Florida can be frustrating, especially down here in South Florida, where it's so hot and humid. Regular tomatoes won't pollinate at temperatures over 85 F, so they won't set fruit in our hot, humid summers, which last from May through August. It's best to grow your tomatoes from September through December, and then plant a second crop from starter plant in January to get more tomatoes by April. Just about any northern variety will grow during our South Florida winters, with heirlooms being particularly popular. There are a few tomato varieties that are hybridized strictly for heat, such as Heat Wave, Solar Fire, Florida 91, Solar Set and Sunmaster. Gardeners' impressions are that heat tolerant tomatoes do not bear well, and don't have much taste. Cherry tomatoes love the heat of South Florida summers. Favorite varieties include Sweet 100, Husky Cherry Red, Matt's Wild Cherry, and Grape Tomatoes. If you can lay your hands on some Everglades tomatoes, do it. These are a native Florida tomato that is tiny and sweet, and you'll fall in love with it. You need fertile, loamy, acidic soil to successfully grow tomatoes. 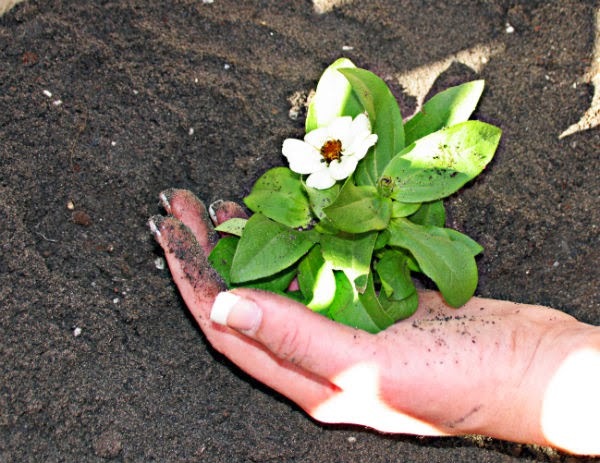 The soil in Florida is generally either sand or marl, both alkaline and lacking in nutrients. You can take the time to amend your soil to make it suitable to grow tomatoes, but most Florida gardeners just grow them in 5-gallong or larger containers with a good potting mix. 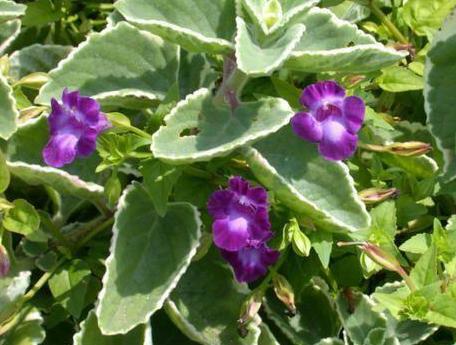 This keeps them from being killed by root-knot nematodes or contracting soil-borne diseases. Use an acid-based fertilizer such as Miracid or one made just for tomatoes. 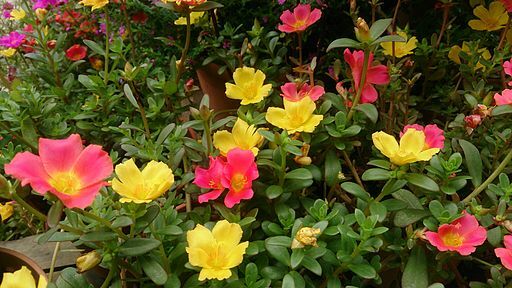 A good azalea and camellia fertilizer is acceptable if you can't find anything else. Growing tomatoes in South Florida can be a challenge. There are insects and diseases galore that want to destroy your plants, but it's well worth it for the taste of vine-ripened tomatoes on your table. With development comes destruction, and native plants are the biggest victims. Dozens of plant species disappear every day, become extinct, due to over-development and clear cutting of forests. People and businesses need places to live, and the places that remain are often less than desirable. Lots have to be built up, or paved over to make them useable, which necessitates removing all plant life. The clear cutting of building lots destroys millions of native plants yearly. While municipalities attempt to force homeowners and builders to replace a certain percentage of these trees and plants, it's only a drop in the bucket to what is lost. Many times these plants are replaced with non-native ornamentals and lawns that not only require more resources to maintain, but do not even come close to having the beneficial properties that native species have developed over thousands of years in the same environment. What can we do, however small, to undo some of the damage that is done? We can use native plants in our landscaping. In the present economic and ecological climate, native plants have several advantages over non-native species. Landscaping with native plants can save our resources, help protect our environment, and save you money. Save Water because they are acclimated to the normal precipitation rates of the area. That is not to say that in periods of extreme drought you will not have to water them, but normally, you can forego the hoses and sprinklers. No Need for Fertilizer because they have learned to live and thrive on what nature gives them. As a matter of fact, some native plants will actually not survive heavy fertilization. The slash pine is one such plant. When left standing on building lots that are sodded and fertilized heavily, the slash pine will invariably die. More Insect Resistant so they rarely require chemical insecticides. The insects that native plants do attract are largely only attracted to that particular plant. This is usually because it is a larval plant, meaning they lay their eggs on it. One example of this is monarch butterflies and milkweed. Even when the milkweed is completely stripped of leaves by the monarch larvae, the plant recuperates quickly and becomes fuller and more beautiful, providing more flower nectar for the emerging butterflies, and more food for the next crop of larvae. More Disease Resistant. It is a well known fact that hybridization destroys the disease resistant properties of many plants. Native roses, for example, do not suffer from black spot or other fungal diseases common to their hybridized counterparts. Attract Wildlife and Pollinators. Native plants in the wild provide shelter and food for wildlife and insects. Without this symbiotic relationship, neither species would be able to survive. When native plants are used in the landscape, you will see an increase in butterflies, bees, and other beneficial species in your yard. Large scale chemical fertilizer, insecticide, and pesticide usage has been proven to be the major contributor to the declining quality of our potable groundwater. Scientific experts in Florida now admit that runoff of high nitrogen chemical fertilizers from lawns is the greatest contributor to the red tide algae that destroys millions of living ocean organisms every year. We all know what chemical spraying, disposal into rivers and streams, and releases from factory smokestacks are doing to our environment. It has recently been found that a chemical pesticide named Clothianidin may be largely responsible for colony collapse disorder in bees. We must stop the chemical pollution that is killing our planet. Native plants were here long before man, and only man can save them. Research native plants for your area, and consider replacing less environmentally friendly species in your landscape. There are many beautiful and easy to grow choices available.